If you’re coming to Mallorca (and visiting us at Nakar Hotel :)) you must know we really like celebrations of all kind. There are strong Majorcan traditions we keep celebrating, translating into holidays and festivities and we are also really open to add new festivities to our calendar (because: would you rather have less or more things to celebrate… let me think about that for a minute). This is why we thought it might come in handy to have a timeline of our local festivities when visiting this little gem on the Mediterranean. And now that you have marked the holidays in Mallorca on your calendar, we’ll go one step further. Let us tell you what important festivities we celebrate year after year on the largest of the Balearic Islands. 5th of January ► All over Spain we welcome the Three Kings before they deliver presents for the little ones at home. This means a huge and colourful parade lands in Palma’s port to take over the city and greet every kid on the streets. 16th of January ► The ‘Sant Antoni’ festivity is one of Mallorca’s traditional festivities. You will find bonfires on the streets in every city of Mallorca, as the people take the streets to celebrate and to share a joyful evening. 17th of January ► ‘Beneïdes de Sant Antoni’. On the 17th neighbours from all over the city take their animals to church to be blessed, as Sant Antoni is the patron saint of animals. 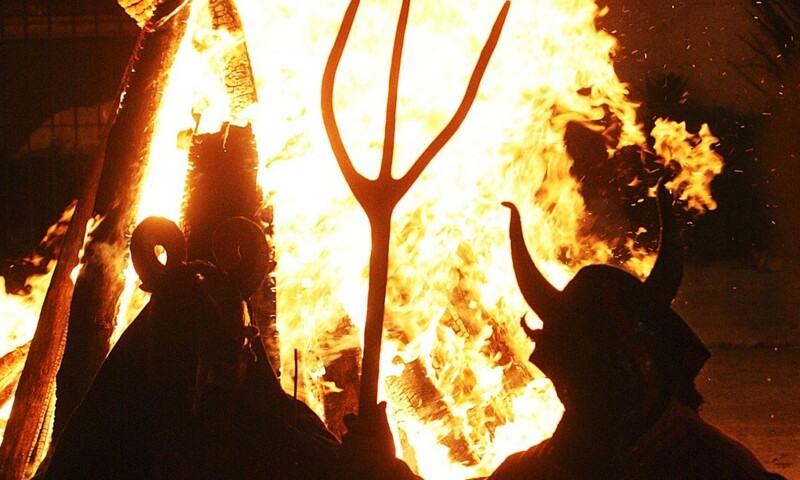 19th and 20th of January ► Another bonfire-party is the one that goes by ‘Revetla de Sant Sebastià’, which takes place on the evening of the 19th. 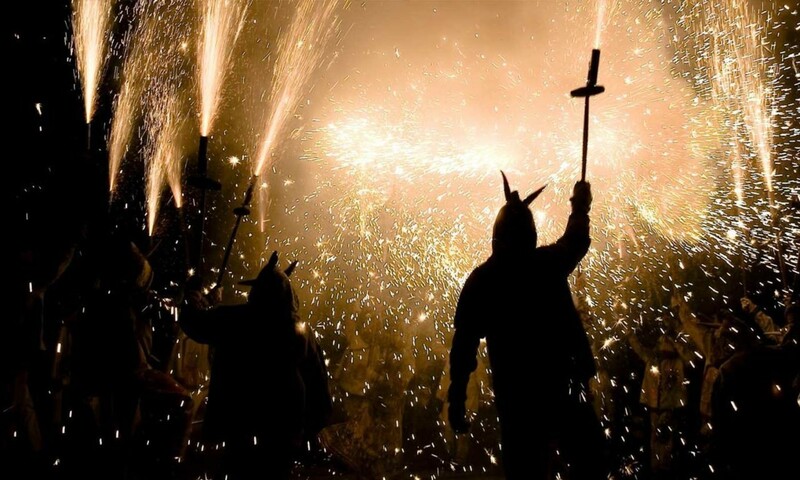 Sant Sebastià is Palma’s patron, who is why the capital city of the Balearic Islands is the epicentre of this celebration and the typical ‘dimonis’ make their appearance taking the streets of the city! February ► Carnival. There is not just one date for Carnival, but we usually celebrate it during the firsts weekends of the month. Every city and town celebrates its own carnival, filled with colours, street art, a parade (called Rua and Rueta for the younger ones) and many activities for children. 1st of March ► Day of the Balearic Islands. On this holiday a big medieval market takes place at Paseo Sagrera, in the La Lonja neighbourhood. March/April ► Easter. Just like almost every country in Europe, Easter is a special festivity on the religious Calendar. Even though it’s not all about the resurrection of Jesus Christ, it still plays the most important part during this holiday, where you will find processions taking place in Palma and other towns. 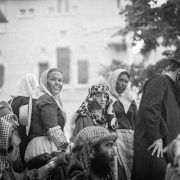 The second Sunday in May ► The festivity of Moors and Christians in Sóller. The victory of the Christians over the Moorish pirates in 1561 is commemorated and it is the perfect excuse to dress up like them and re-play the battle in a colourful and festive way. 24th of June ► ‘Sant Joan’. The evening of the 23rd people take the beaches to light bonfires and celebrate this lovely summer night with friends. 15th and 16th of July ► ‘Virgen del Carmen’. This is the festivity of the patron saint of the sailors, which is why it gets really lively at ports all over the island. Sailors decorate their ships and make beautiful entrances to the port while celebrating their good fortune. 2nd of August ► The festivity of Moors and Christians in Pollensa. The same battle taking place in Sóller in May, is also really big in Pollensa, but on the 2nd of August. 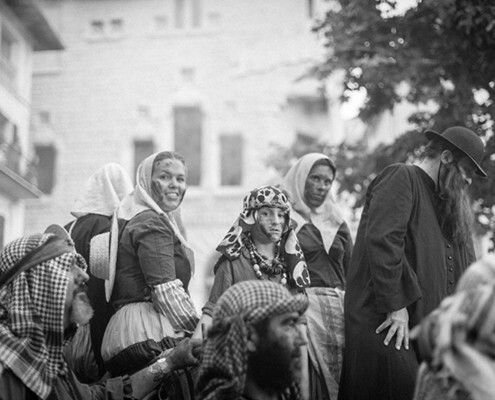 The whole town becomes a cheerful place and people dress up to recreate the battle. Last Saturday of August ► During August’s second fortnight the city hall of Ses Salines organizes many different activates for the neighbours to participate and also to encourage visitors to discover this ancient tradition. One of the most popular activity within these festivities is the well-known celebration that involves horses. Known in Mallorca as ‘jaleo’, the only Majorcan town still using this Antique tradition is Ses Salines. Last Sunday of September ► Fiesta del Vermar: Every year, the village of Binissalem in Majorca celebrates La Festa des Vermar, which marks the end of their grape season in mid-September. 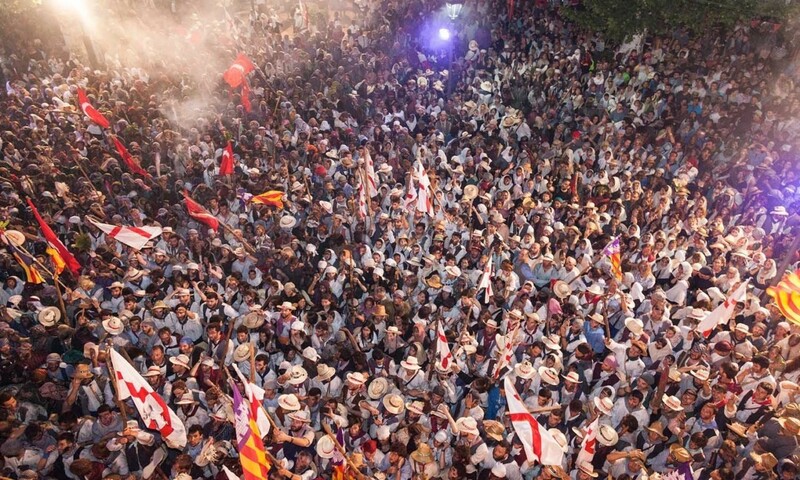 The fiesta is two weeks long and highlights include a grape-treading competition, a grape-throwing fight and huge amounts of “fideus”. Third Saturday of October ► This local festivity in Palma is homage to ‘Santa Catalina Tomàs, la Beateta’. Third Thursday of November ► Dijous Bo in Inca. Dijous Bo is Mallorca’s most large fair and takes place only in Inca the third Thursday of November. 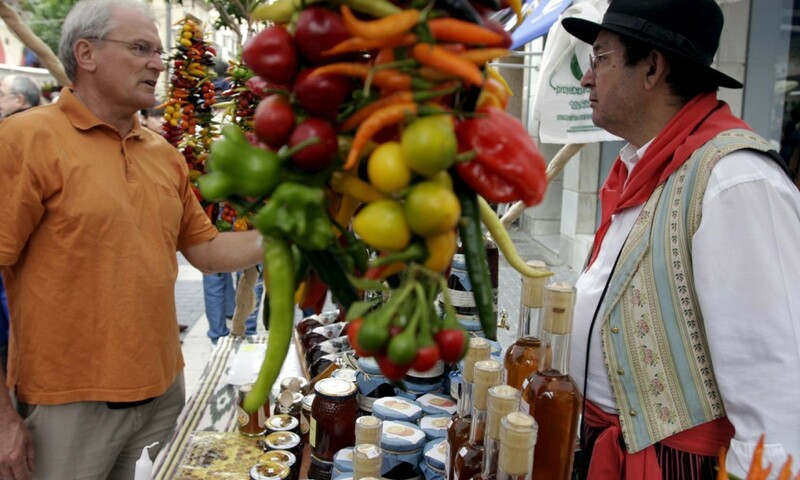 It is a big event for the Majorcan agriculture and highlights the best of Majorcan gastronomy, crafts and traditions. 24th of December ► The ‘gallo Mass’ is the most important celebration on Christmas Eve, after which many Majorcan take long walks through the city. 31st of December ► In Palma in addition to traditional New Year’s Eve, we also celebrate the ‘l’Estandard’ festivity, commemorating the Christian conquer of the city by the troops of King Jaume I in 1229. Palma Guide: Michelin star restaurants in Mallorca Come meet our spa treatments!